Did you know you can use Dawn dish soap for things other than washing dirty dishes? Also, if you are a seeker for thrifty hacks, this will certainly cheer you up. Dawn dish soap can be employed in several frugal ways in and around your home to make day-to-day tasks a little easier. And needless to mention, it will help you save up a lot in the long run. We scoured the Internet to find you 17 ways to use Dawn dish soap for cleaning, pest control and more. While greenery around the house brings in positivity, it is the unnecessary greens or weeds that can be frustrating to deal with. Not only do they make your garden look unkempt, they also eat up the soil nutrition reserved for your plants. 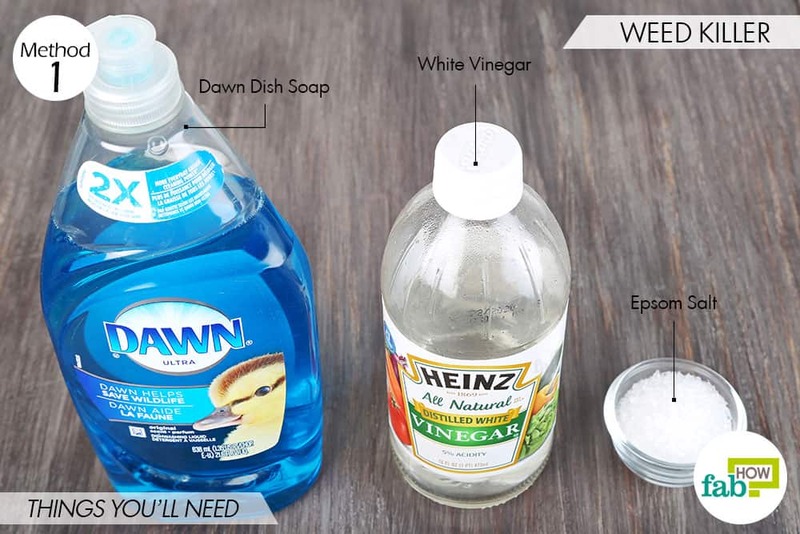 If you don’t have the time and patience for weeding, try making an inexpensive DIY weed killer using Dawn dish soap. The vinegar in this recipe helps draw moisture out of the weed, while the Epsom salt prevents re-growth. 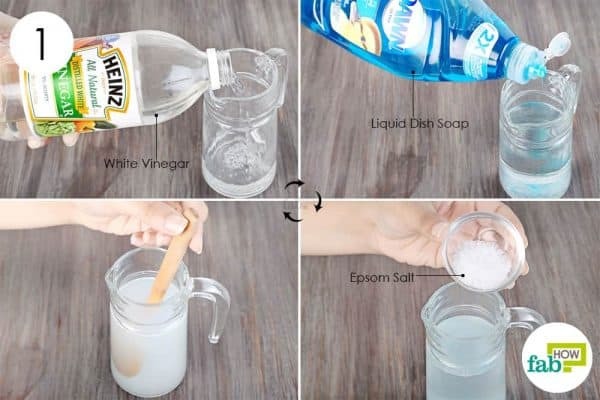 Pour 1 cup of white vinegar in a pitcher. Add to it 2 teaspoons of Dawn dish soap. Add 2 tablespoons of Epsom salt. Using a small funnel, transfer the solution to a spray bottle. Fix back the lid and your weed spray is ready to use. Choose the hottest hour of the day and spray the solution over the weeds in the garden. Make sure that there is no rain in the forecast for the next 2 days. Spray it daily for a week to kill the weeds completely. Icy sidewalks and stairways can be risky to tread on. 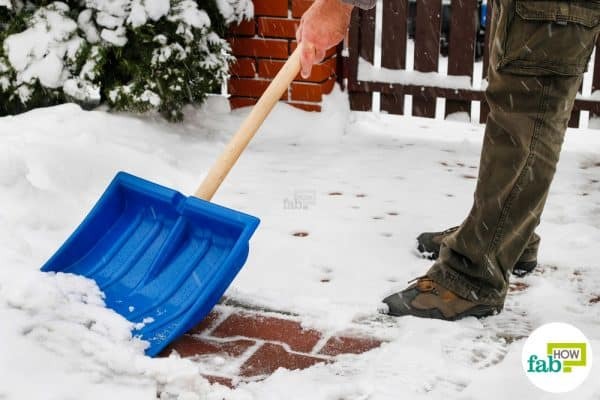 While sprinkling salt is a common practice for de-icing, it can eat up your concrete and damage the sidewalks. 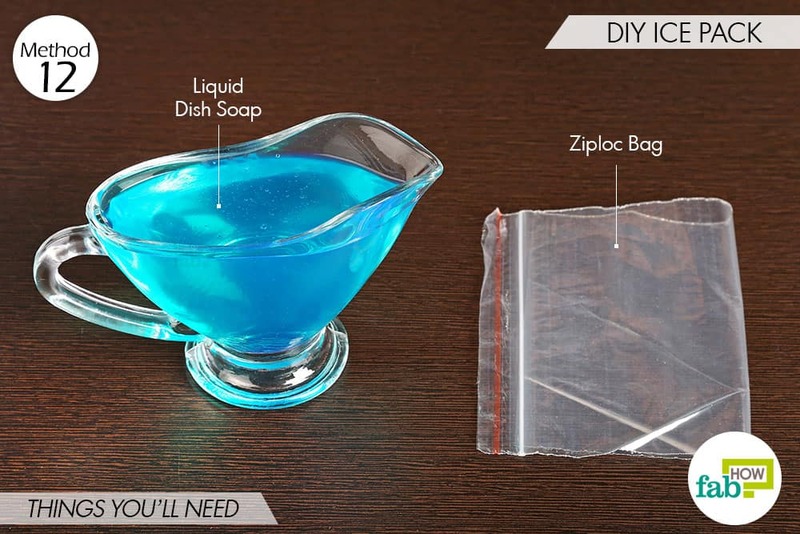 Rubbing alcohol along with dish soap will work effectively in melting the ice and also prevent it from re-freezing. 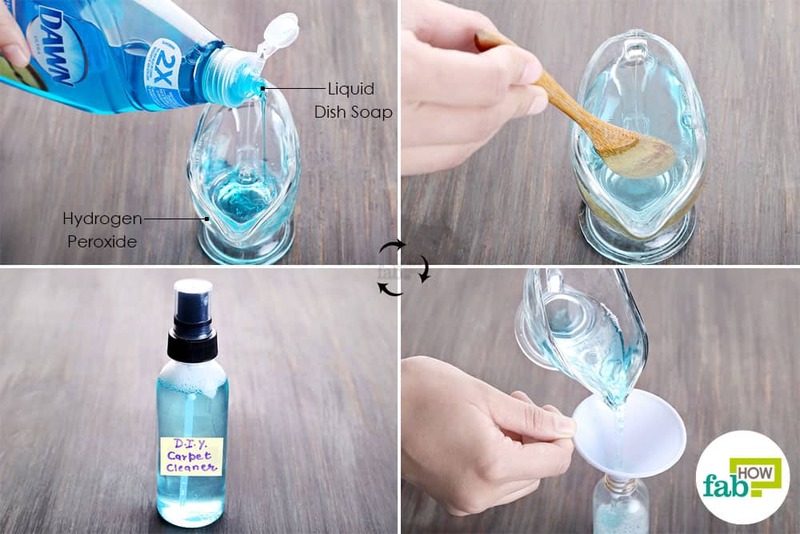 Mix a ¼ teaspoon of Dawn dish soap with 2 cups of hot water in a spray bottle. Add to it a ¼ tablespoon of rubbing alcohol. Fix back the nozzle and shake well to mix the ingredients. Generously spray the solution on the sidewalks, and the ice will melt almost instantly. Ant infestation is nothing less than a nuisance. While there are chemicals to deal with these tiny creatures, you don’t want these chemicals anywhere near your kids and pets. An easy alternative is making your own ant killer with Listerine, hydrogen peroxide, and Dawn dish soap. While they are safe for your use, they are toxic enough to get rid of the ants. 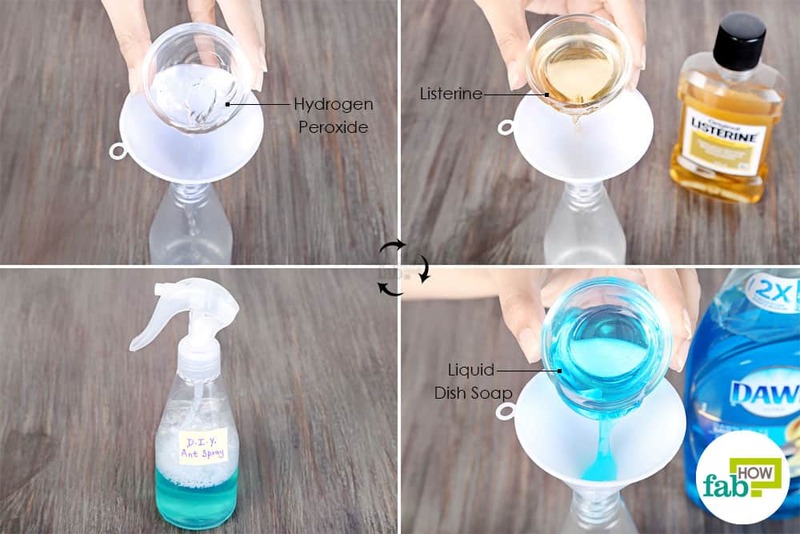 Using a funnel, pour 1 tablespoon each of 3% hydrogen peroxide and Listerine in a spray bottle. Also, add 1 tablespoon of Dawn dish soap. Screw on the nozzle and shake well to mix the three ingredients. 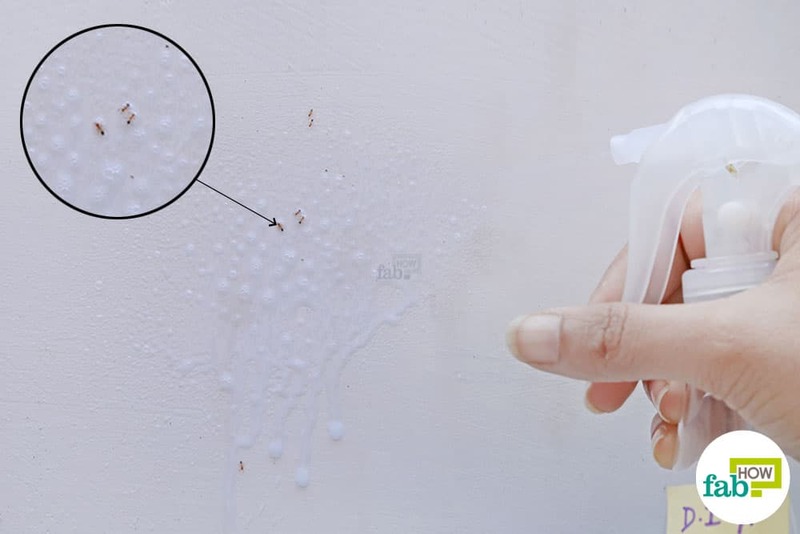 Spray the solution over the ants inside their hiding place. Leave it for 10 to 15 minutes to kill all the ants effectively. Wash or wipe off the area to remove the dead ants. Similar to ants, Dawn dish soap can also get rid of fleas on your dog. It works as a mild shampoo and will also leave your pooch smelling great. Take 1 teaspoon of Dawn dish soap and scrub it well on your dog’s coat. Once done, rinse it off thoroughly with water. A single wash should kill the fleas effectively. If needed, repeat once weekly to get rid of them completely. Windows accumulate dust and other impurities, requiring thorough cleaning from time to time. The shower panels can also turn foggy from soap scum and hard water stains. 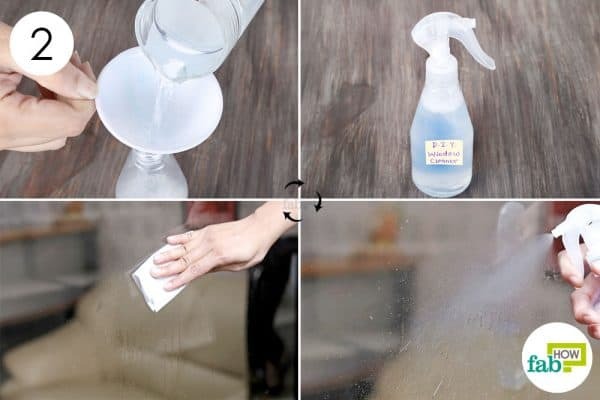 Instead of investing in a specialized cleaner, try cleaning them with this homemade window cleaner. Both dish soap and vinegar used in this cleaner can easily cut through stains and would also prevent fogging on windows. 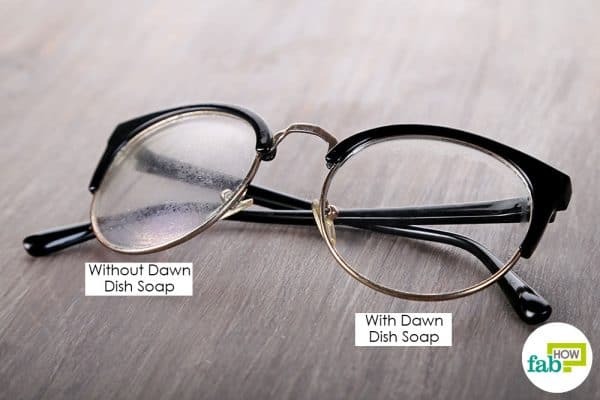 Add ¼ teaspoon of Dawn dish soap to 1 cup of water. Stir well to dissolve the two liquids in water. 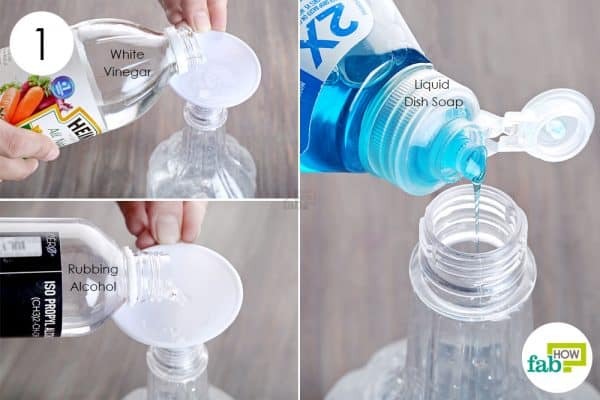 Use a small funnel to pour the liquid into a spray bottle. Secure the nozzle and spray it on the window or glass panel you wish to clean. Use a soft bristled brush to scrub the glass gently. Rinse the glass with a jet of water, and then wipe it with a dry cloth. A clogged toilet can cause a lot of inconvenience for you and your family. A small cup of Dawn dish soap can put you out of your misery. 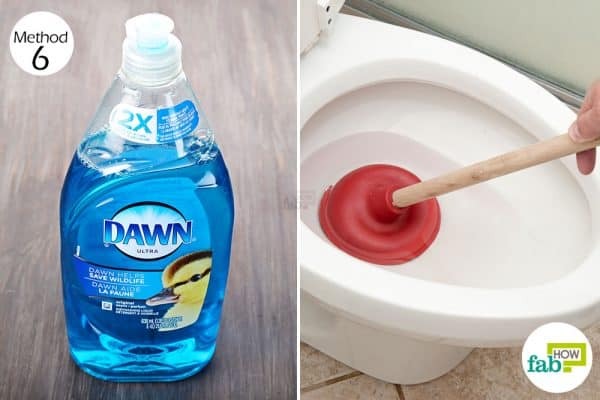 Take 1 cup of Dawn dish liquid soap and pour it into your clogged toilet. Let it work for 10 to 15 minutes. Take a bucket of hot water and pour it into the pot. Your toilet will clear out easily. 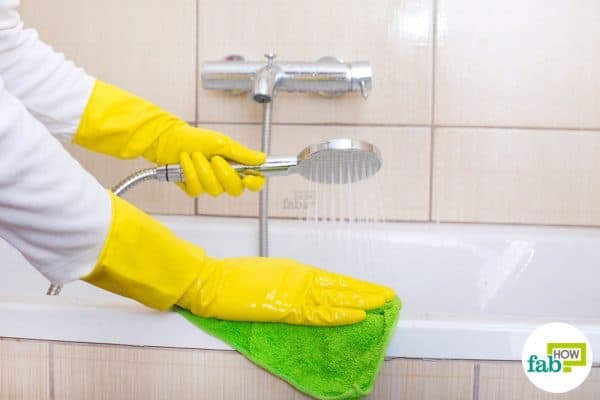 Your bathtub and shower walls accumulate soap scum, water stains, and other impurities on a daily basis. The moist environment then becomes a breeding ground for bacteria. 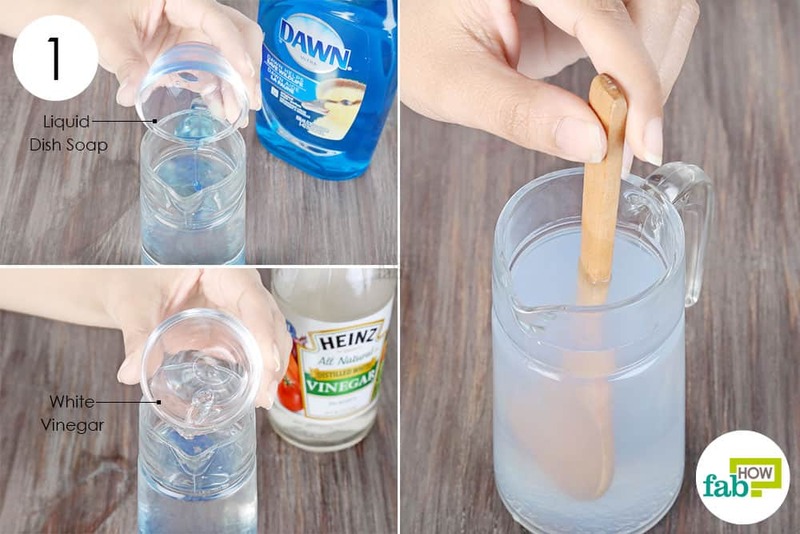 A simple way to keep your shower place hygienic is to clean it regularly with this DIY tub and shower cleaner made with white vinegar and Dawn dish soap. The soap will help cut through the gunk, while the vinegar will disinfect the area. 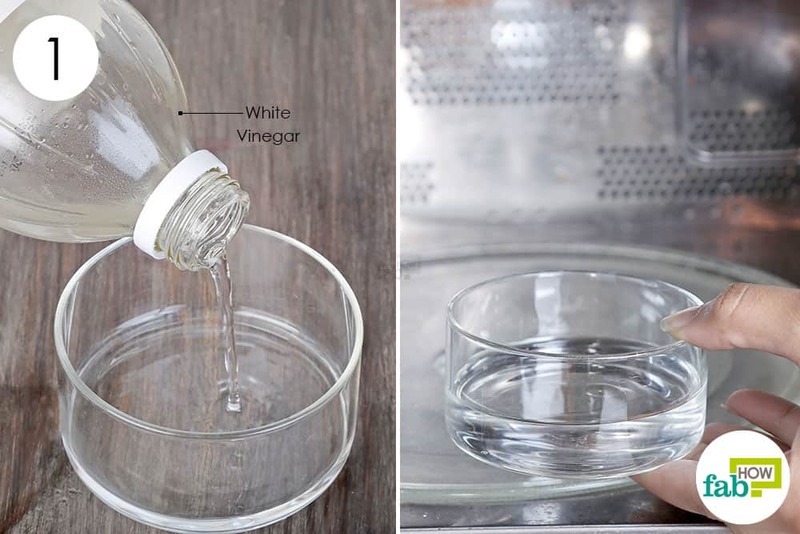 Take ¼ cup of white vinegar in a container. Heat it up in the microwave for 1 to 2 minutes. Once done, retrieve it from the microwave. 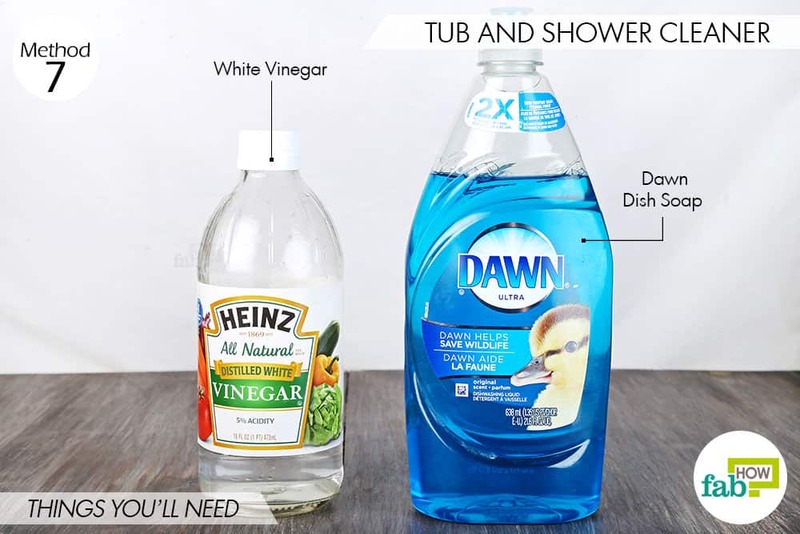 Add ¼ cup of Dawn dish soap to the hot vinegar. Use a spoon to mix the two well. Transfer the mix to a spray bottle and screw back the pump. Spray the solution all over the bathtub and shower walls. Scrub the tub and walls with a brush, and then rinse with water. Use it once a week to keep your bathtub and shower walls clean. It can really be heartbreaking when your most priced carpet sustains a nasty stain from last night’s party. 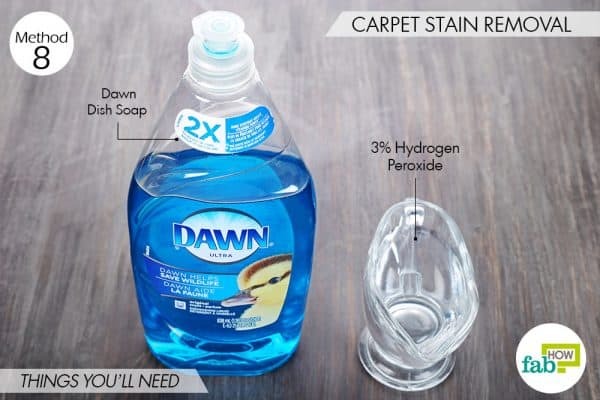 Dawn dish soap along with hydrogen peroxide (mild bleaching agent) can salvage your carpet without ruining its fabric. 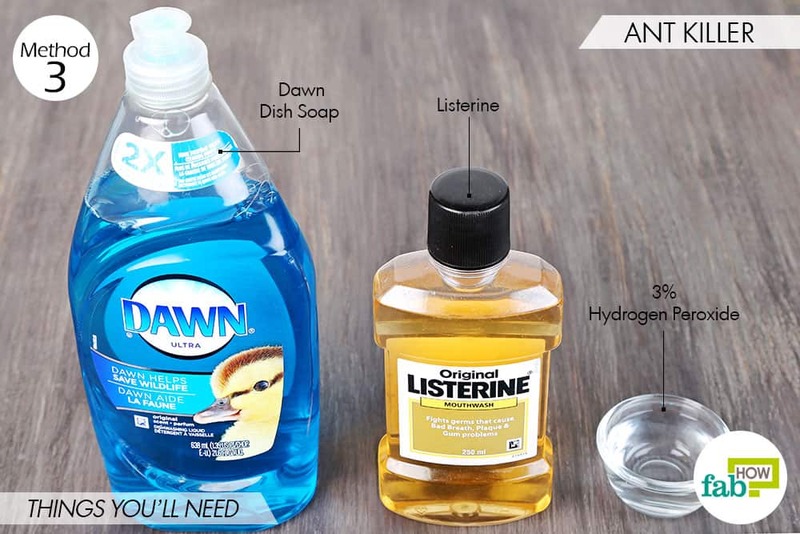 Add 4 to 5 drops of Dawn dish soap to ½ a cup of 3% hydrogen peroxide. 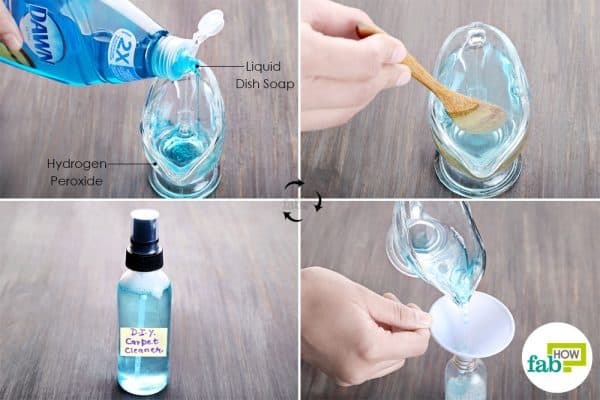 Mix well and transfer the liquid to a spray bottle. Spray a generous amount of the liquid over the stain. 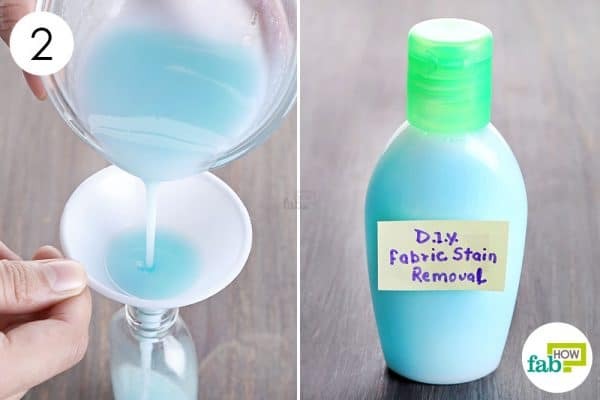 Scrub on the stain for 1or 2 minutes. Blot the excess liquid with paper towels. Repeat the process until the stain has sufficiently lifted off. Ran out of floor cleaner? 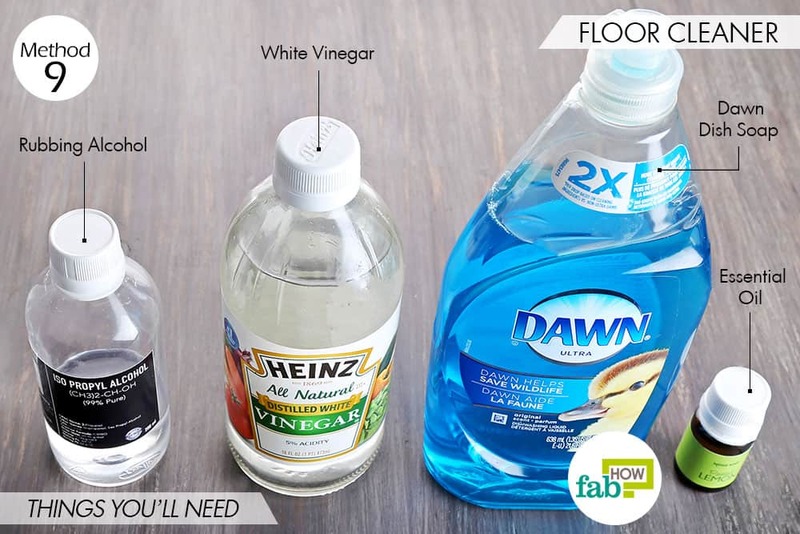 Don’t worry, you can improvise and make your own floor cleaner using Dawn dish soap along with vinegar (deodorizer and disinfectant) and rubbing alcohol (disinfectant). You can also add some essential oils to leave your room smelling fresh. As the ingredients used in this cleaner are diluted in water, it is safe to use on all kinds of surfaces such as granite, marble, or natural stone. Add ¼ cup of white vinegar to 1 cup of warm water in a spray bottle. 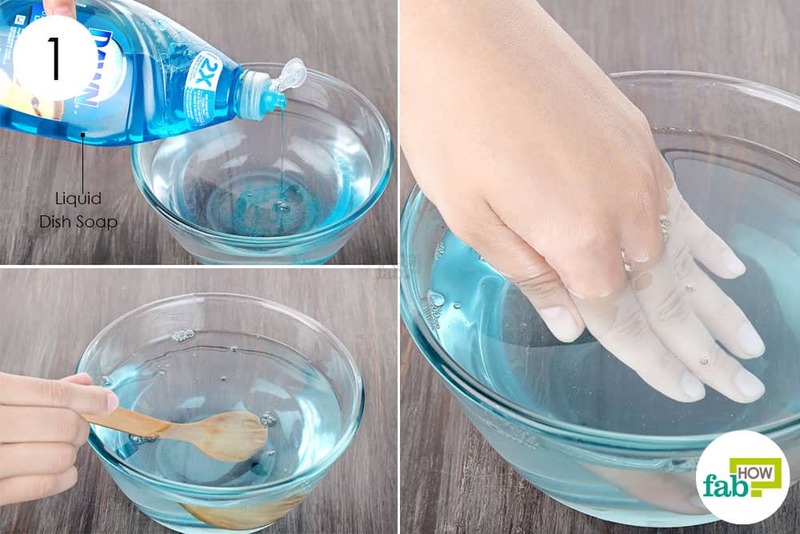 Pour 2 tablespoons of rubbing alcohol. Add 1 or 2 drops of Dawn dish soap. Add 3 to 5 drops of any essential oil of your choice. We have used lemon essential oil here. 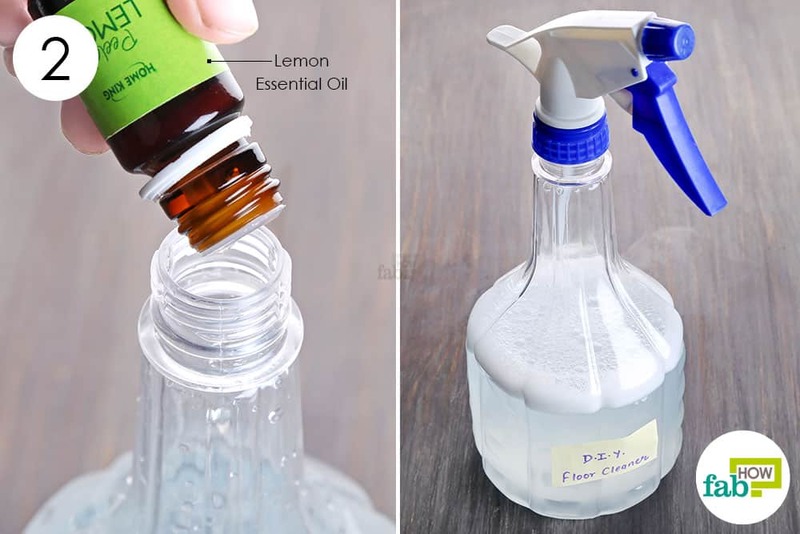 Fix the cap on the spray bottle and shake well to mix the ingredients well. Spray the solution on the floor. Wait for a few minutes, and then wipe it clean with the mop. Dawn dish soap also serves well as a stain remover, which is gentle on the delicate fabrics yet strong enough to cut through the stain. It is particularly efficient at removing turmeric stains from clothes. It just needs to be combined with baking soda that works as an abrasive agent on the stain, and hydrogen peroxide that acts as a mild bleach. Note: Do a patch test first on an inconspicuous part of the garment to check for fabric’s tolerance. Take 2 tablespoons of 3% hydrogen peroxide in a bowl. 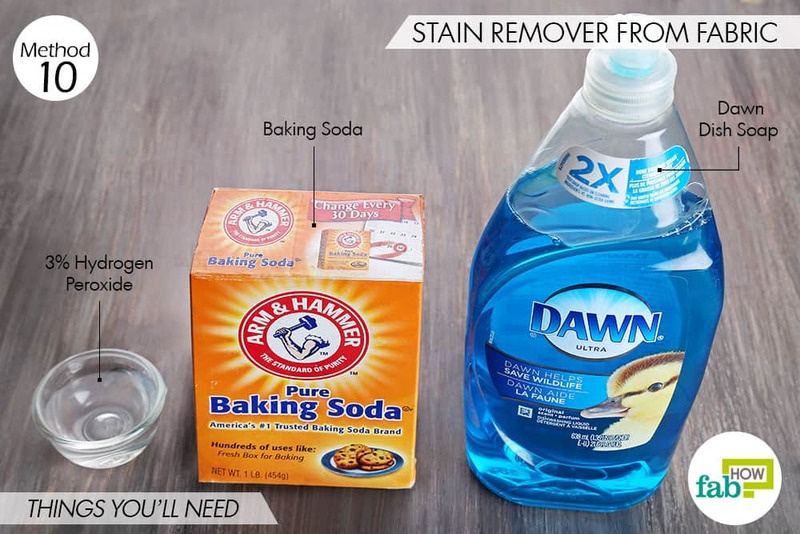 Add to it 1 tablespoon each of baking soda and Dawn dish soap. Use a spoon to blend all the ingredients. Store the solution in a small bottle. Pour some of the liquid directly over the stain. Scrub on the stain with a soft bristled brush. Once the stain is sufficiently lifted off, launder the clothing in the normal wash cycle. 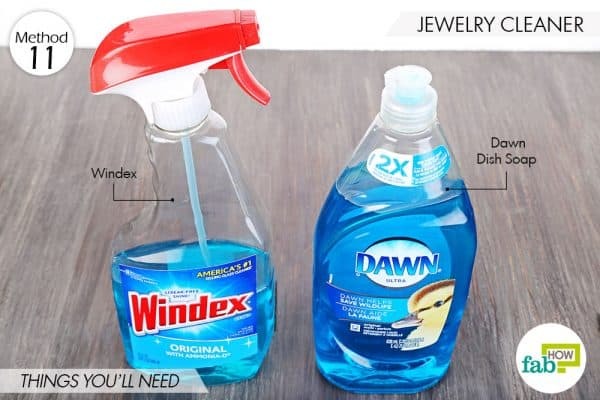 Restore the sheen of your jewelry with a concoction of Dawn dish soap and Windex. Both work well to loosen the accumulated dirt in the crevices of the jewelry and make it sparkle again. The solution is safe to use on gold, silver, and stone jewelry. Pour ¼ cup of Windex in a microwave safe glass container. Add to it 4 to 5 drops of Dawn dish soap. Mix well and heat up the mix in the microwave for 1 minute. Do not put in the jewelry yet. 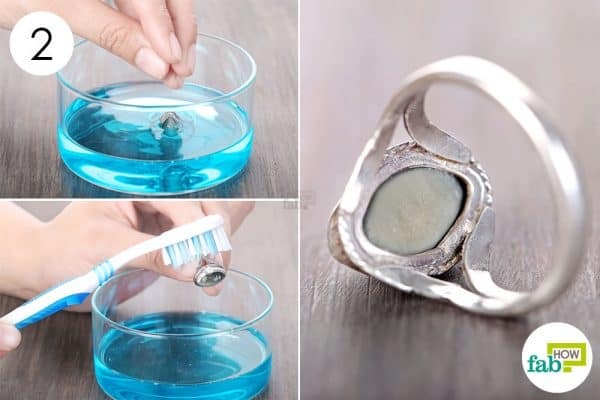 Drop the jewelry you wish to clean in the solution. Let it soak for 10 minutes. Use a soft bristled brush to scrub the jewelry. Once done, rinse it under running water. 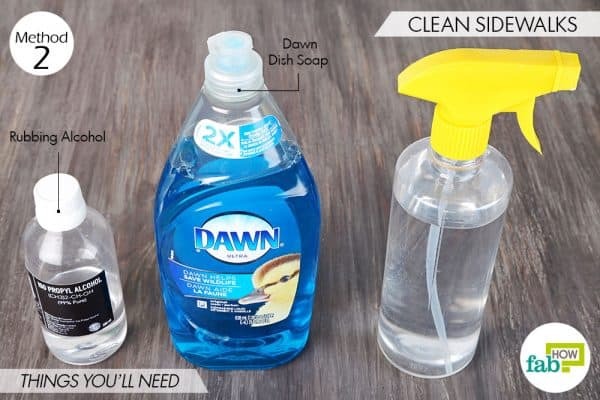 Dawn dish soap can be frozen to a semi-liquid state to make an inexpensive DIY ice pack. Pour ½ cup of Dawn dish soap into a Ziploc bag. 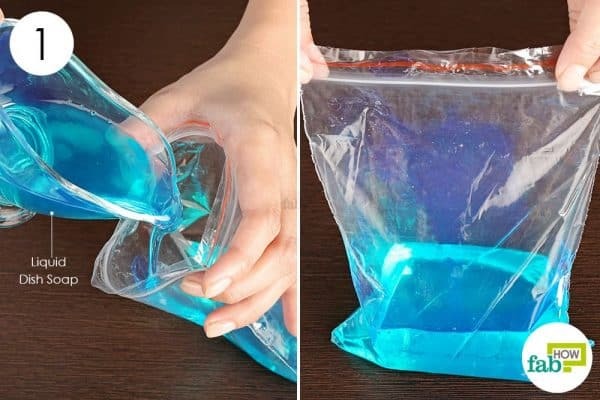 Squeeze out all the air from the bag and seal it properly. 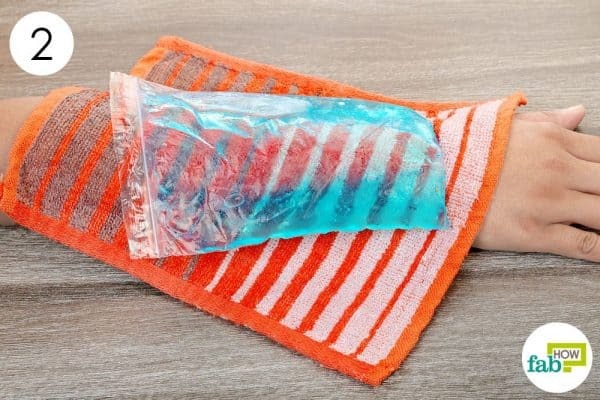 Pop the bag into the freezer for 3 to 4 hours to turn the liquid soap into a thick gel. When needed, take it out of the freezer, place a towel over the aching muscle, and place the ice pack on top of it. Note: Do not place an ice pack directly over your skin as it can cause ice burns. Isn’t it frustrating when your spectacles come in the way of you enjoying a hot cup of latte? The cold lenses easily fog up from the steam of hot dishes and beverages and obstruct your vision. A super easy solution is to rub some Dawn dish soap over the glasses. 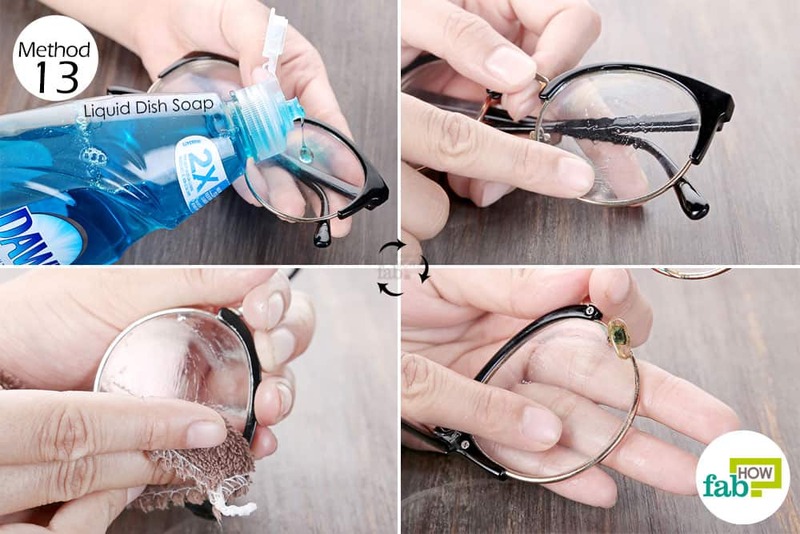 The soap will form a clear film on the lens and prevent fogging. Put a drop of Dawn dish soap over the lens. Using gentle strokes of your finger smear it over the entire lens. Apply the soap on the inner side as well. Wipe it off with a micro-fiber cloth. Repeat the process for the other lens as well, and the glass will not fog up again. Dawn dish soap can also come to your rescue on a bad hair day. 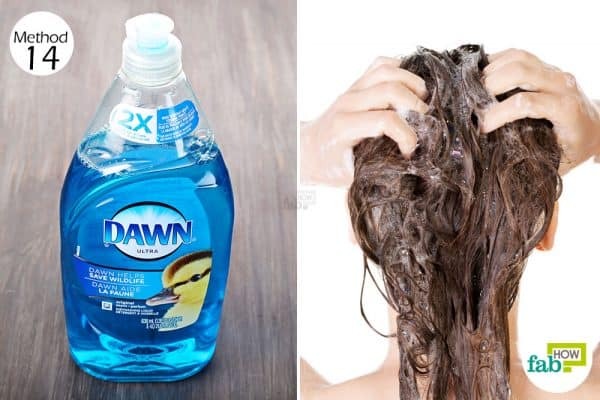 If you have managed to get some grease on your hair or if it feels naturally oily, try using Dawn dish soap as a shampoo. It works as a cleanser, cutting through the grease and product buildup and is mild enough for your hair and scalp. Also, if you dyed your hair and the color feels too dark, Dawn dish soap will help wash off excess dye. Just like you would any regular shampoo, slather a dollop of Dawn dish soap onto your scalp. Massage it for 1 or 2 minutes, and then rinse thoroughly with cool water. If you excessively use styling products, wash your hair with Dawn dish soap once a month to prevent product build up on your scalp. Sunday barbeques are fun, but cleaning the grill later – not so much! A quick way to clean the charred grill is by using diluted Dawn ship soap spray. 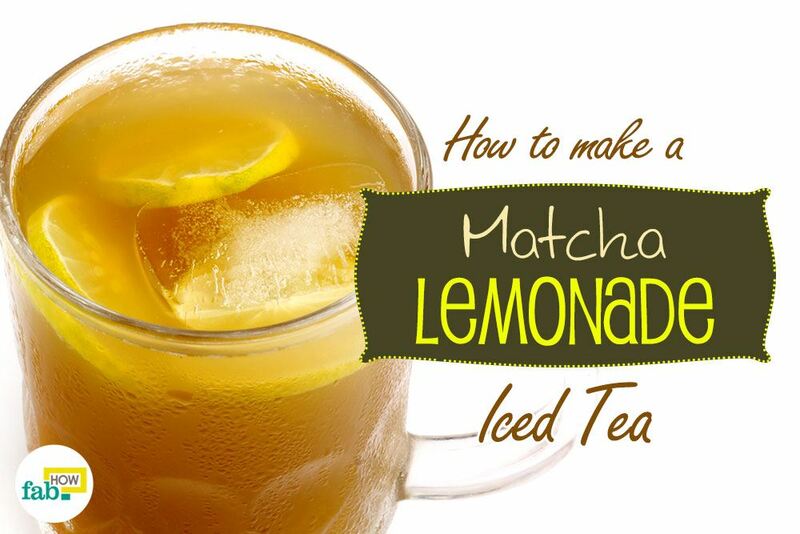 Pour 1 to 2 teaspoons of 2 cups of warm water. 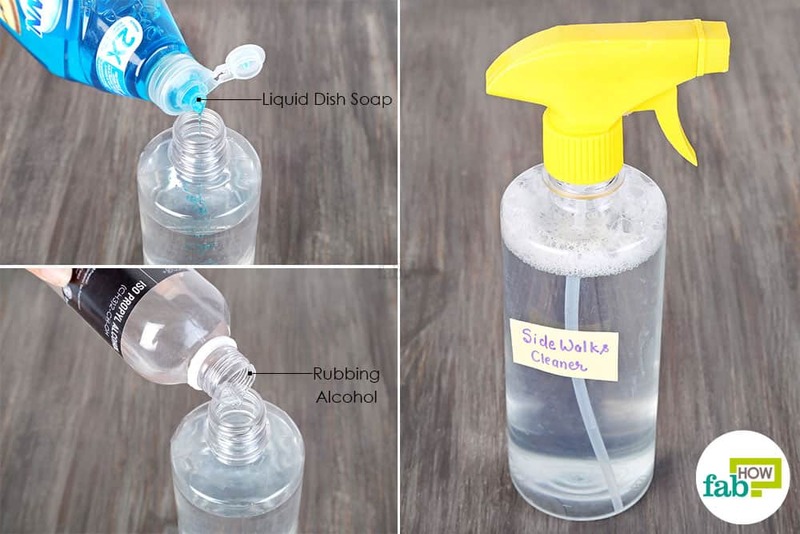 Stir well and transfer the solution to a spray bottle. To clean the grill, spray the solution generously over the grill grate and the grill bowl. Leave it for 5 to 10 minutes, and then use a wired brush to scrub off the loosened grime. Thoroughly, rinse it with water. If needed, repeat the process until your grill is completely clean. Manicures are an essential part of beauty regime. But getting regular manicures is an expensive affair. 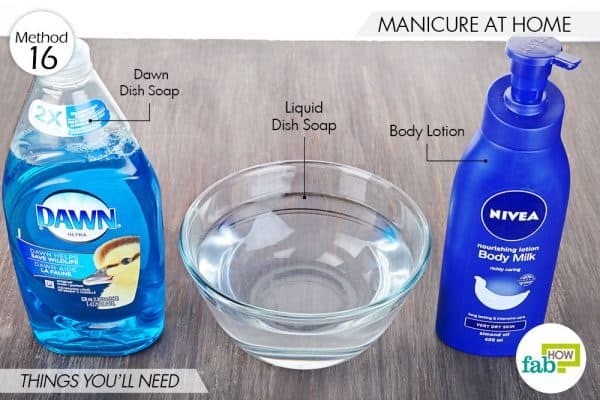 A cheaper alternative is doing manicures yourself at home using Dawn dish soap. The soap is mild on the skin and will clean your nails and soften cuticles easily. Add 1 teaspoon of Dawn dish soap to warm water in a large bowl. You can have two bowls to do both hands together. 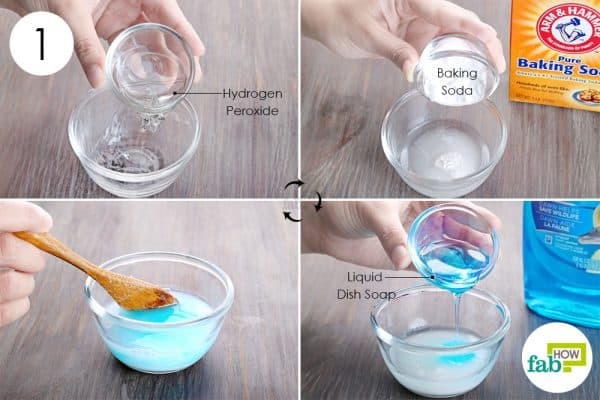 Mix well to dissolve the soap completely in water. Soak your fingers in it for 5 minutes. Rinse your hands with cool water. Wipe them dry with a soft towel. 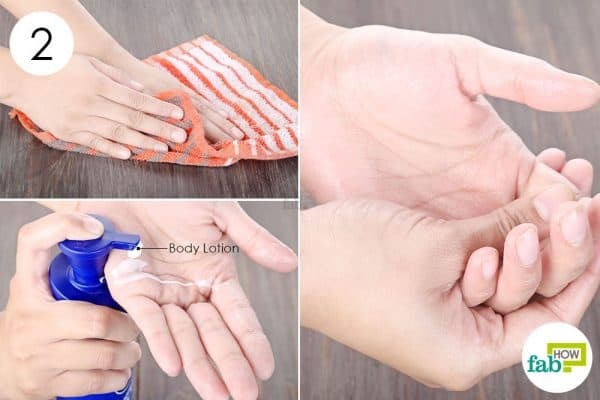 Apply a good amount of thick body lotion on your hands and you are done. If in a pinch, the thick viscous liquid soap can also be used as a door lubricant to get rid of irritating squeaky noises. 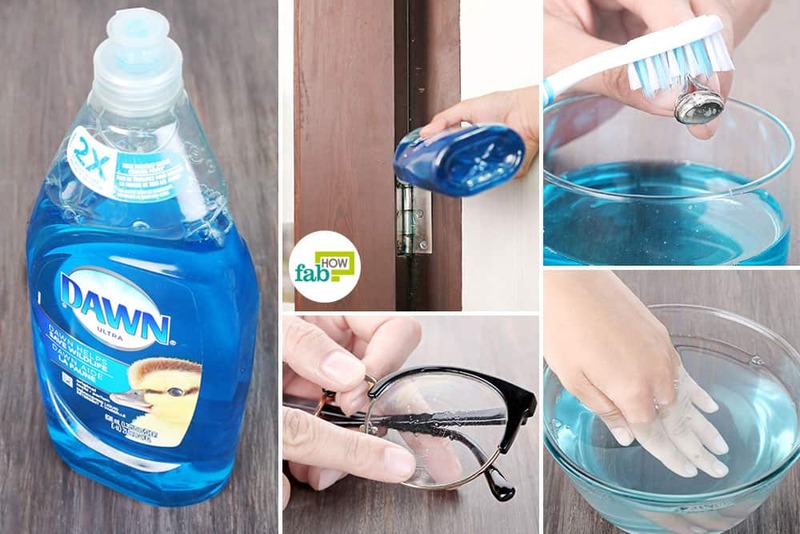 Pour a few drops of Dawn dish soap over the hinge of the door and cabinet. Open and shut the door a couple of times to spread the liquid, and the squeak should be gone in no time. 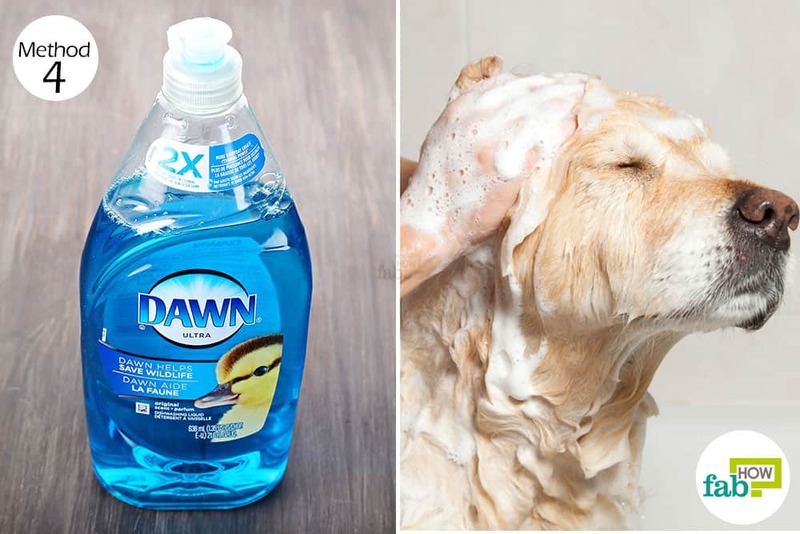 Apart from killing fleas in dogs, Dawn dish soap can also be used in a similar fashion to kill ticks. 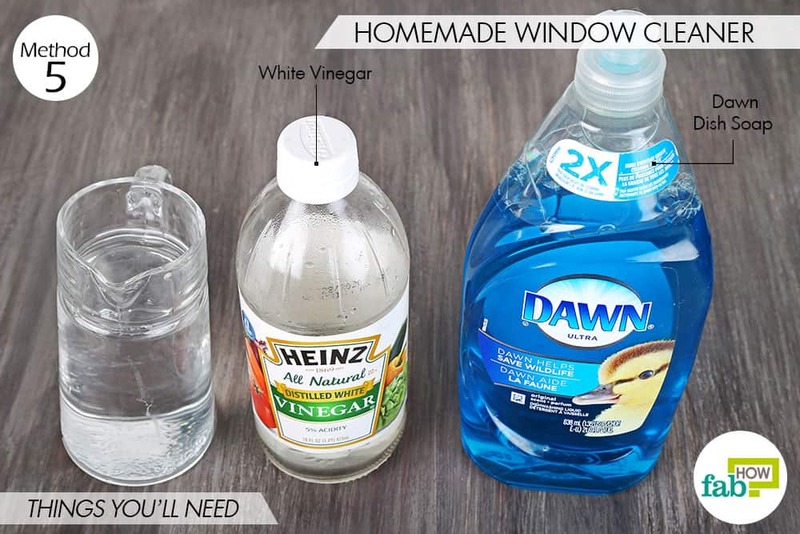 You can also use Dawn dish soap to clean kitchen cabinets or wooden furniture. 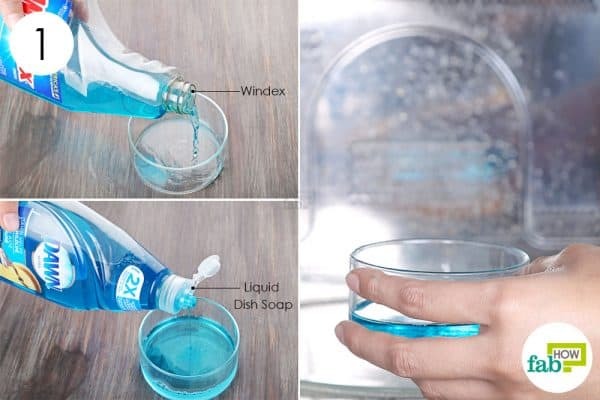 Prepare a solution of 1 part of Dawn dish soap with 20 parts of water. Soak a soft flannel cloth in it, and scrub the dirty surfaces to make them shine again. 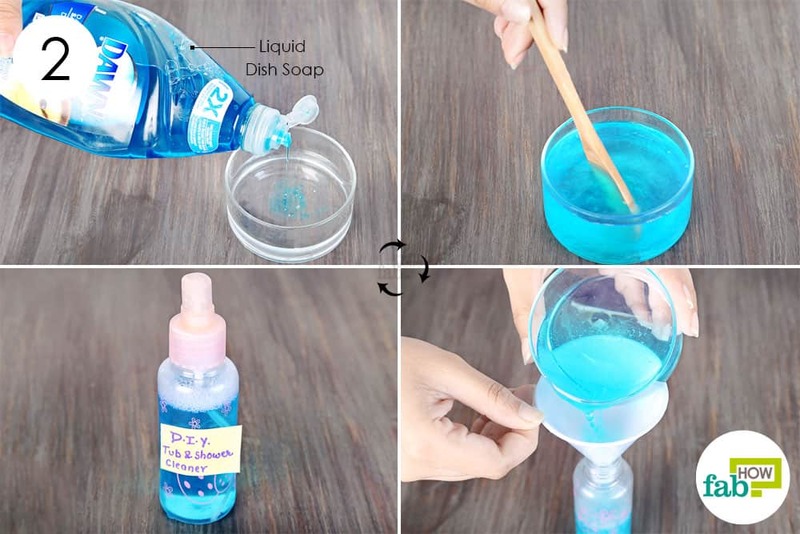 The dish soap can also be used to clean cloth diapers. Simply add some dish soap in warm water, and soak the diapers in it for a few minute. Scrub and rinse with water. You can also use it as an insect repellent for plants. 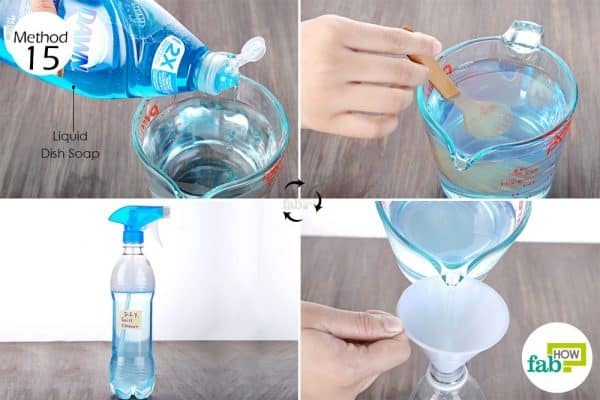 Fill up a spray bottle with water. Add to it 1 or 2 drops of Dawn dish soap. 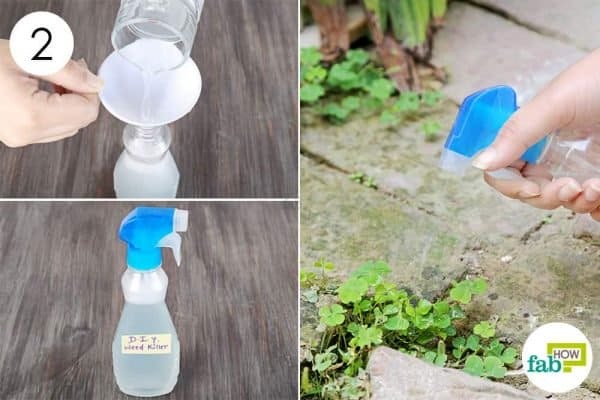 Shake well and spray it over the plants to get rid of the bugs.